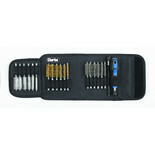 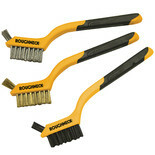 Industrial quality wire brush set for the removal of corrosion, dirt and debris on machining, auto repair etc. 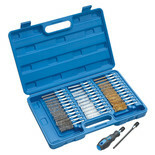 Can be used manually or fitted to a drill. 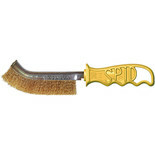 Tough & durable brass wire spid brush, ideal for various cleaning applications. 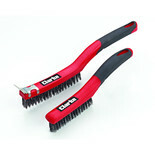 The Clarke CHT551 Wire Brush is ideal for the removal of dirt and debris from metals, file, etc. 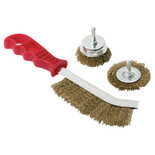 Complete with the fine gauge wire for precise and high quality cleaning. 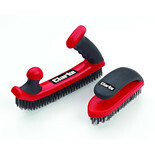 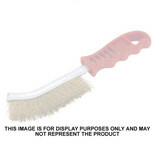 This wire brush has a comfortable rubber grip handle that fits easily in your hand and is lightweight so easy to use. 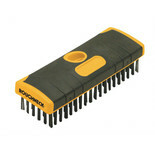 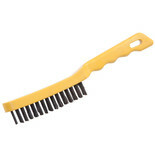 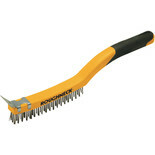 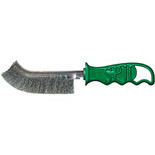 The steel bristles allow you to remove stubborn dirt and scrub most services. 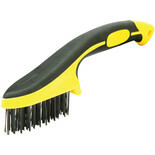 Tough & durable wire spid brush, ideal for various cleaning applications. 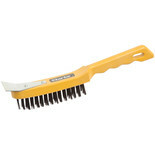 Brass wire brush with 3 x 19 rows of bristles and integral steel scraper and extra long soft grip ergonomic handle.